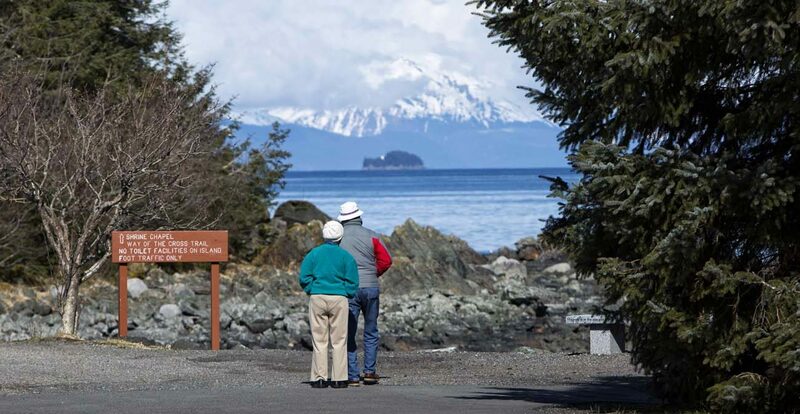 PHOENIX (CNS) — A popular Alaskan retreat has been designated a national shrine by the U.S. bishops. Bishop Edward J. Burns of Juneau, Alaska, announced the news on the Oct. 1 feast of St. Therese Lisieux, the patroness of Alaska after whom the Catholic shrine is named. 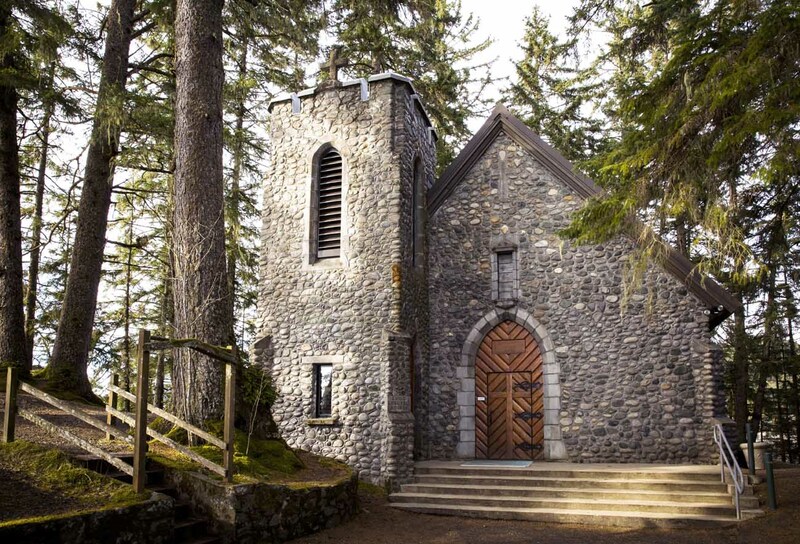 The National Shrine of St. Therese, located about 23 miles north of Juneau along Glacier Highway, has served as a place of spiritual refuge since its dedication in 1941. The 46-acre site in a forest of Sitka spruce and western hemlock overlooks the waters of the Inside Passage. Along the shrine’s many paths, visitors can enjoy wide vistas of water and ice-frosted mountains. Overseen by the Diocese of Juneau, the shrine ranks among the top Juneau attractions by online travel guide TripAdvisor. Highlights include the shrine’s beach-stone chapel on an islet accessed by a raised stone path. The shrine’s Good Shepherd Rosary and Grotto Trail and its Merciful Love Labyrinth are additional places for prayer and reflection. The shrine is open to all and accommodates overnight guests. Its main lodge and four cabins are available for rent by individuals, groups or families. The U.S. bishops’ committee on divine worship oversees the designation of national shrines. In criteria for naming such places, the bishops cite the Catholic tradition of pilgrimage as an important part of pastoral life. “Pilgrimages remind us that the journey we take to a place of special devotion designated as a shrine mirrors the journey on which we are embarked as the pilgrim people of God,” reads part of the norms. The Juneau shrine of St. Therese is now among a list of some 70 Catholic national shrines. For more information on the shrine or to make reservations, visit www.shrineofsainttherese.org.